Also, save yourself the hassle of mall shopping during the holidays. Order gifts early and online. Then pour yourself a glass of eggnog and kick back. The retailers I recommend have free shipping options and make returns easy. I hope you find this post helpful for generating outdoor gift ideas for your friends and family. Please leave a comment below if you have any thoughts on my suggestions or would like to make a recommendation of your own. Enjoy! The Duplex is an ultralight backpackers dream come true. It’s my tent of choice for ultralight backpacking and thru-hiking trips. The Duplex is built out of unbelievably light cuben fiber, which is a completely waterproof material that won’t sag like silnylon in the rain. This tent would make an excellent gift for a thru-hiker, but it’s a little specialized for the average backpacker. The Copper Spur UL2 is an excellent lightweight tent with great features for backpackers of all levels. Its double-wall construction makes it easy to setup and great in nasty weather. It’s really light, but it still provides a good amount of interior space for 2 people. And it also has a range of convenient features like interior pockets and hang loops. The Summerlite is an incredibly light and warm sleeping bag for 3-season backpacking. It has a full-length zipper and continuous baffle construction, making it one of the lightest full-functioning sleeping bags on the market. The M10 jacket (in men's and women's) is my all-time favorite shell for ultralight backpacking rain protection. It’s incredibly light, breathable, and compactable. The material of this jacket feels comfortable against the skin - not plasticy like some other jackets - and it will keep you bone dry even under the harshest conditions. No front pockets or pit zips keep the weight of this coat down, you won’t need those features on the trail. The Ultralight Down Hoodie (in men's and women's) is my go-to jacket for almost every 3-season backpacking trip I take. It’s light, stylish, comfortable and has a great fit. I highly recommend this jacket for lightweight backcountry excursions. The GoPro HERO4 is a fantastic gift for any active outdoor lover. I use mine for time-lapse photography and taking short videos in the field. It comes in a rugged and waterproof case, making it an excellent fit for any active lifestyle. If I were to set out on a thru-hike tomorrow, the Arc Blast would be my backpack of choice. When you’re covering long distances, keeping weight down is critical, and the Arc Blast is the lightest pack on the market. The frame of the Arc Blast promotes airflow to your back, which is nice. Make sure to add hip pockets to your order, and I also like using a shoulder pouch for my camera as well. This best-in-class bluetooth speaker blasts some serious sound and makes an excellent high-end gift for music lovers on the go. The MEGABOOM is waterproof and shockproof, which are great features for outdoor addicts, but the main selling point is its incredible sound quality and volume in a portable package. The MSR Lightning Ascents are best-in-class snowshoes that will make any winter trekker swoon. They’re my all-time favorite snowshoes for several reasons. Along with solid overall construction, they have excellent traction, which is critical on icy surfaces. Their three-strap bindings keep your feet secure and are easy to adjust. They also come with televators, which are advantageous on hilly terrain. I prefer the smaller 22 in. size (men’s and women’s sizes available) for maneuverability with the option to add 5 in. flotation tails when there’s a lot of deep powder. 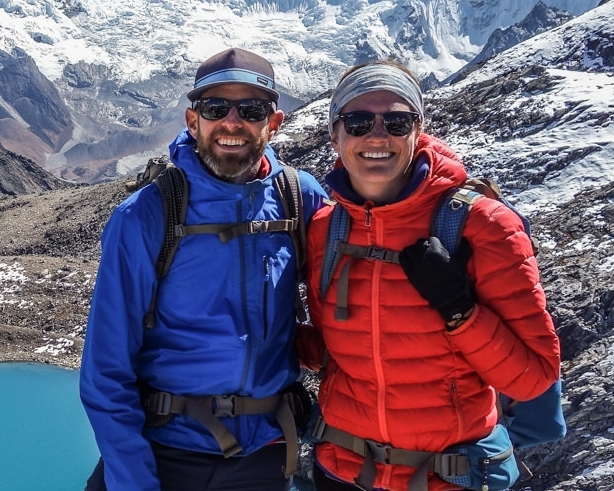 The Down Sweater Hoodie (in men's and women's) is slightly heavier than Patagonia’s Ultralight Down Hoodie, but it’s also a bit warmer, tougher, and more cost effective. It’s an excellent piece of gear for any backcountry traveler and also great for keeping warm around town.